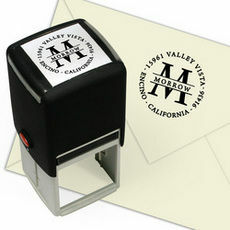 Stamp in style! Your name is featured on this stamp design. Personalize this stamp with your name and address. A rectangular self-inking stamper which produces a quick, crisp impression. 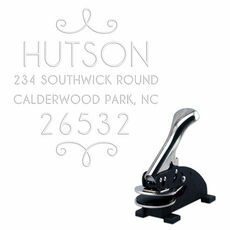 Your choice..
High quality desk embosser. 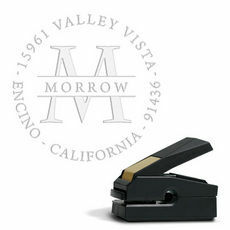 The desk embosser provides more leverage and support which means less strain on your hands. 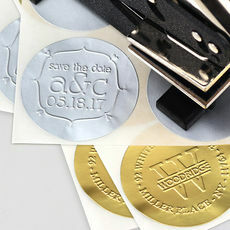 Imprint size is approximately 1.625" diameter. 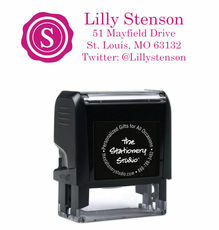 Typestyle and positioning only as.. 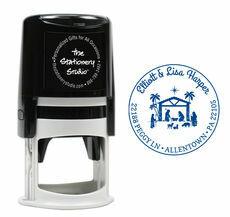 Stamp in style! A rectangular self-inking stamper which produces a quick, crisp impression. Your choice of imprint size. 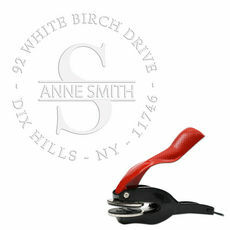 Available in 15 ink colors. 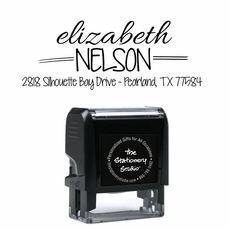 This stamper is inked for many impressions and can..
You can add a decorative, personal touch to all your cards, envelopes and work-related papers with a quality stamper from our collection. 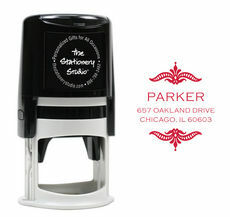 We offer a large selection of best-selling self-inking stampers. 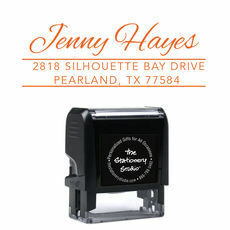 You can easily personalize every envelope with your business or family name and address in a design featuring your taste and style. 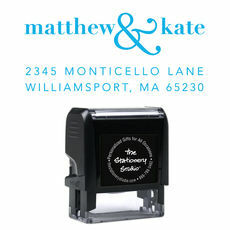 The themes and designs we offer are endless so that you can find a stamper for your wedding monogram, your business address or your holiday message. 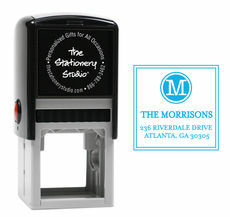 If you like adding a personal touch to your work, a selection of stampers lets you get creative. 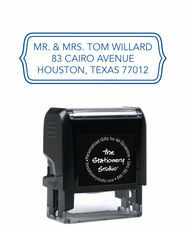 Whether you want to say thank you, give words of encouragement or display essential information, you can choose from our square, rounded or rectangular shapes and have a way to add sophistication to your stationery. From single letter monograms to 3-letter monograms, designs, accents, motifs and basic address stampers, our website provides many choices from fonts to graphics and symbols for a high-quality stamper that will give you a crisp, quick impression. The Stationery Studio makes it easy to save yourself time and the need to repetitively add the same information to your letters or envelopes. We encourage you to look through our collection and create a stamp that suits your specific needs. 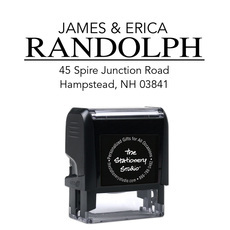 We take pride in having an easy ordering process in place so that you can decide on the right design, add your information and order quickly and simply. 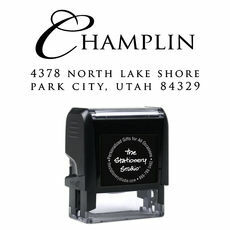 Whether you're creating a return address stamp or a stamp for a special occasion, we strive to deliver a product that will exceed your expectations every time.